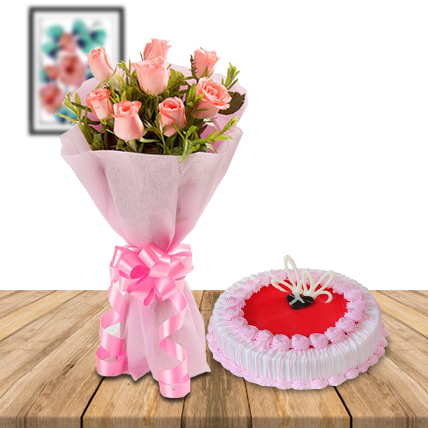 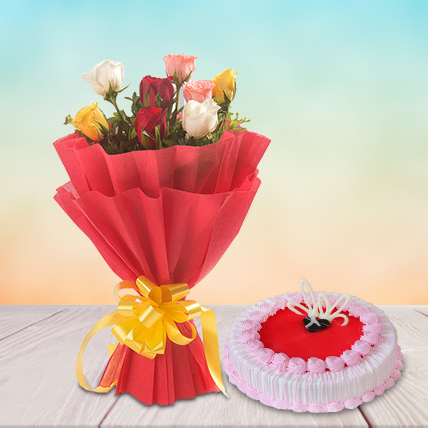 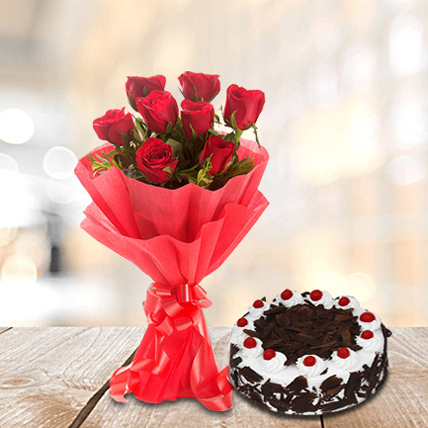 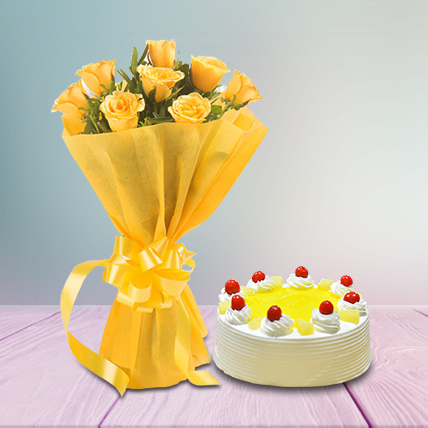 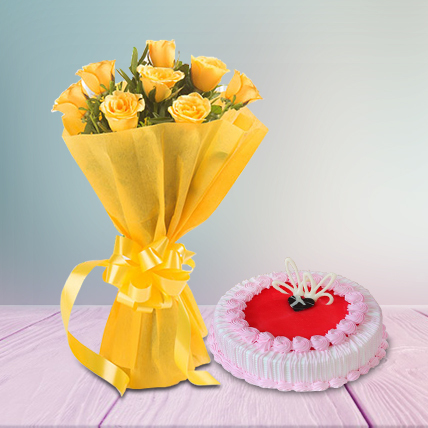 Bunch of 8 red roses with red paper packing and matching ribbon bow and 500 gm blackforest cake. 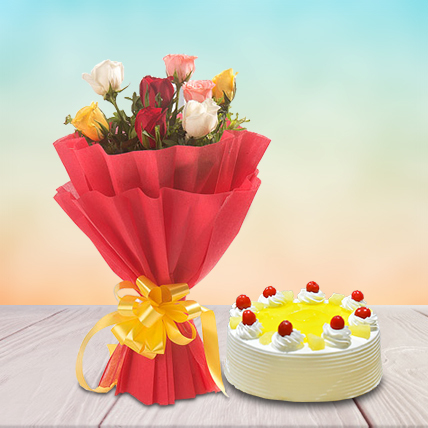 It is really perfect as it name says. 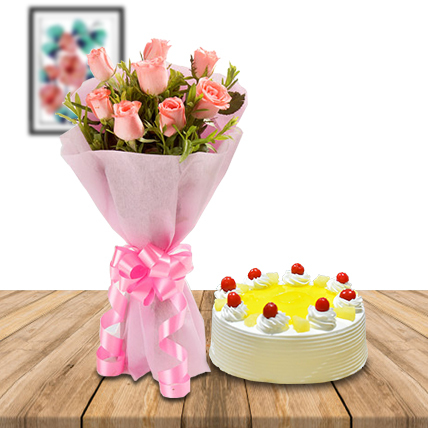 I am happy to get it.